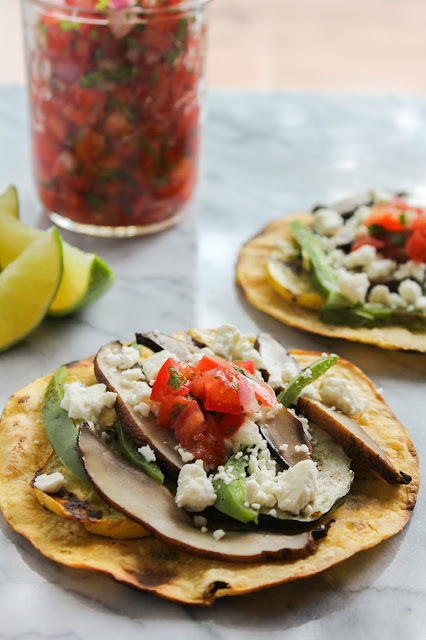 Crisp tortillas are piled high with grilled vegetables then topped with feta cheese and a fresh tomato salsa. One of my favorite places to spend time during the summer is on my back deck. Whether I'm just lounging around, reading a book, or grilling out, it's such a peaceful place. I technically don't live out in the country, but I'm not in the city either. I'm in between. I tell people I have the beauty and peacefulness of the country with city amenities. I have lots of wildlife in my yard from many varieties of birds, to geese, to bunnies, and of course, deer. We've been in our house for three years this month and I absolutely love it. Prior to this house, I've always lived right in the city. I honestly don't think I could go back now, that's how much I love it here. Anyway, now that I've told you all about my love for outdoor life, let's get back to the part where I mentioned grilling. You may remember that my sons surprised me with a brand new beautiful grill for Mother's Day. Let's just say, that baby has gotten a ton of use this summer! I would guess I've been grilling three to four times a week this summer. I just absolutely love it! Everything from burgers to brats to chicken, I've been cookin' it. But grills aren't just for meat. Fresh veggies are also perfect for the grill. 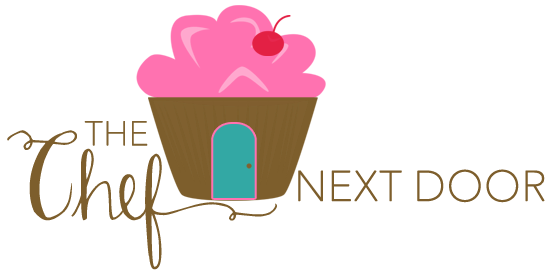 Which brings me to this delicious new recipe. With gorgeous fresh, local vegetables available at farmers markets, grocery stores, and my organic delivery service right now, there are so many options to eat healthy this summer! 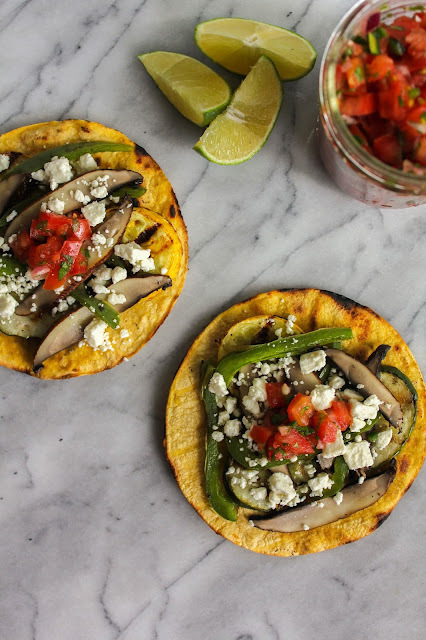 My list of meatless meals is pretty short, so I decided to up my game with these flavorful and filling Grilled Vegetable Tostadas. 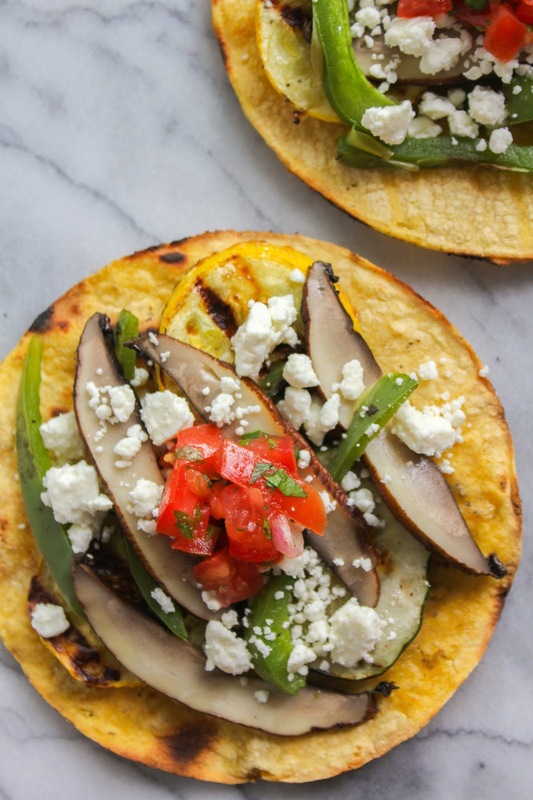 Yellow squash, zucchini, portobello mushrooms and green pepper get grilled up until they're nice and tender, followed by yellow corn tortillas also getting their turn on the grill. A bit of olive oil allows them to get nice and crispy, making them a perfect tostada base. Topped with crumbles of salty feta cheese and fresh tomato salsa, you've got yourself on heck of a delicious meal! I like to squeeze a bit of lime over the top of the tostadas right before serving, too. Just gives them another hint of freshness! First, make the salsa. Place the tomatoes, onion, jalapeno, garlic and cilantro in a bowl and gently mix. Squeeze the lime over the top and sprinkle generously with the kosher salt. Mix to combine. Let the salsa stand for about 15 minutes for the flavors to develop. The salsa can be stored in an airtight container in the refrigerator for up to 1 week. Heat the grill to high. Spread the vegetables on a baking sheet; drizzle with 2 tablespoons of the oil and sprinkle with the salt and pepper. Use your hands to mix everything together, making sure all the vegetables are coated with oil. Turn the grill down to medium-high heat. Place the vegetables in a single layer on the grill and grill, turning once, until lightly browned and tender, about 6-8 minutes. Return all vegetables to the baking sheet. Slice the portobellos and bell pepper into thin strips. Set the vegetables aside. Brush the tortillas with the remaining tablespoon of oil; grill, turning frequently, until browned and crispy, about 2 minutes. 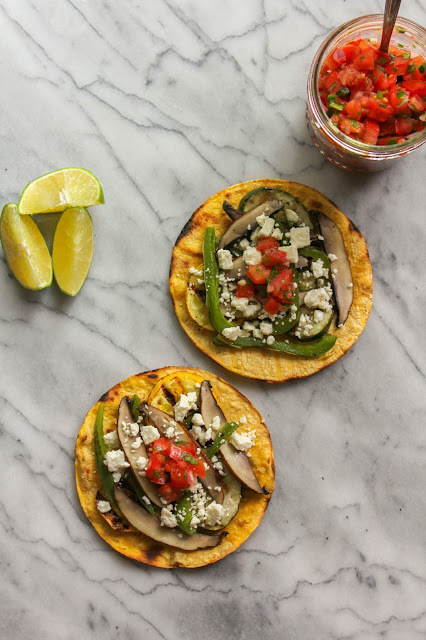 Place a tortilla on each plate, cover evenly with vegetables. Sprinkle with two tablespoons of feta cheese, then top with salsa. Serve with a lime wedge.